The Acquiring Party declares in the takeover bid that the "takeover of the Target Company as per this takeover bid shall be mutually beneficial for all interested stakeholders." They add that "Hisense Group's total operating volume, its advantages in global procurement, and technological leadership in smart and digital white goods complement Gorenje Group's technology in the categories of dishwashers, kitchen appliances, washing machines, refrigerators, and Gorenje Group's strong production capacity in Europe. Distribution channels of both companies in Europe are strongly complementary and can contribute to even greater consolidation of the both the Hisense brand and Gorenje Group brands, to increase of operating volume in the Gorenje Group, and Gorenje Group's efficiency and profitability, while also contributing to expansion of Hisense Group's operations, and development of its brands and returns." The Management Board finds that the goals specified by the Acquiring Party in its takeover bid are beneficial for Gorenje Group's future operations and allow its further development and growth in a fiercely competitive white goods industry. The Acquiring Party furthermore specifies four key areas in which major synergistic effects can be reaped after the takeover: (i) improvement in the efficiency and utilization of resources through connecting and shared use of production capacity and procurement; (ii) integration of global distribution channels and resources to establish complementary geographical coverage and brands; (iii) integration of research and development resources for complementary product development; and (iv) sharing of global marketing and promotional activities to strengthen Gorenje's brands. 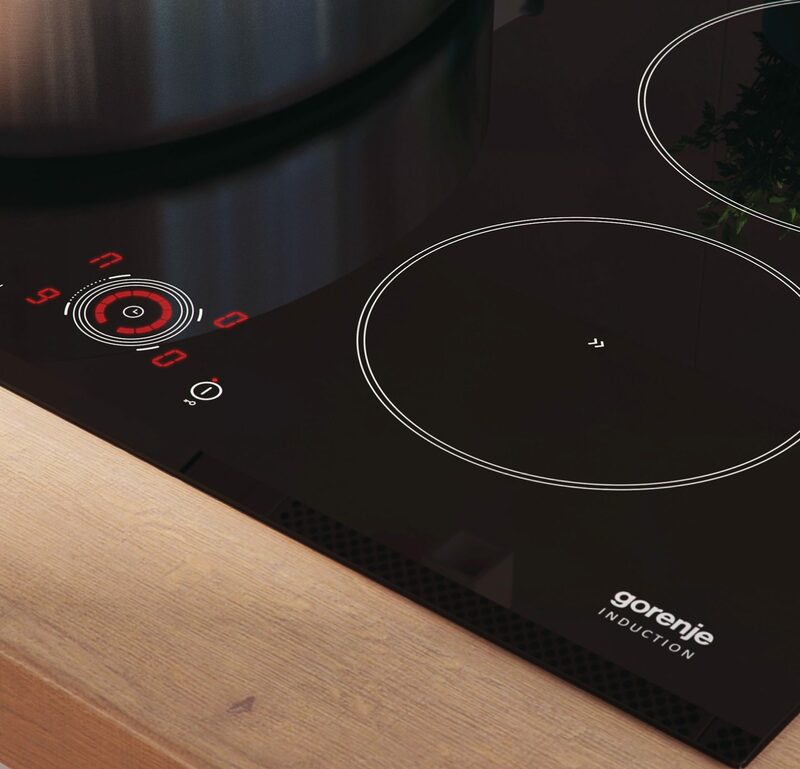 The Management Board finds that the presented areas of synergistic effects are aligned with the expectations and the goals laid down by the company in the process of searching for a strategic partner, and reaping thereof will contribute positively to the improvement in Gorenje Group's international competitiveness, its business performance, and its financial stability. The Management Board finds it particularly important that the Hisense Group intends to retain and further develop all Gorenje brands after the takeover. Moreover, it wishes to expand these brands by using integrated marketing activities for brand development and by considerable investment into extensive sports sponsorships and global marketing activities aimed at strengthening of the brands. The Acquiring Party specifies that "it is not planning any restructuring, merging of business functions or changes of location or seat of the Target Company's operations," which the Management Board finds positive. At the same time, the Acquiring Party ensures that "the Target Company shall become a Hisense Group's development and production centre for the entire Europe. Competitive differentiated smart home appliances will be produced by integrating the technology, product range, and business activities of both corporate groups and through exchange of development and research capacities, production capacities, expert and managerial know-how, and distribution networks." In Management Board's opinion, such decision on the part of the Acquiring Party is an important starting point for ensuring Gorenje Group's future development and growth of the scope of its operations, as well as for ensuring the stability and increase in the number of productive jobs at the Gorenje Group, to which the Acquiring Party has also committed, as it declares in the prospectus that "the takeover bid shall not affect the existing jobs of the Target Company's workers and management." Based on the Acquiring Party's statements in the takeover bid and the prospectus, the Management Board finds that a successful completion of the takeover represents solid foundations for ensuring stable and long-term growth, development, and successful operations of the Gorenje Group. In November 2017, the Management Board started examining the opportunities for strategic partnerships. In this competitive procedure, several potential partners, including the Hisense Group, of which the Acquiring Party is a part, signed with the Target Company a Confidentiality Agreement, and submitted their respective non-binding offers on March 7, 2018. Based on an assessment of the non-binding offers, the Target Company's Management Board invited three strategically suitable potential partners to take part in the continuation of the procedure, and allowed them to conduct a due diligence review at the Target Company. All three invited strategic partners conducted due diligence between March 23 and May 7, 2018. Based on the completed due diligence, the Target Company received on May 8, 2018, three binding offers. The Target Company Management Board found all three bidders and their respective binding offers suitable from a strategic aspect. In its binding offer, which it further improved on May 9, 2018, the Hisense Group, of which the Acquiring Party is a part, offered the highest price per share, and on May 9, 2018, it was selected as the best bidder. The Target Company then accepted on May 9, 2018, to the benefit of all shareholder, the Acquiring Party's commitments from their Commitment Letter by which the Acquiring Party committed on May 9, 2018, to announce, in compliance with the Slovenian law, a takeover bid and offer all Target Company shareholders to acquire their shares that the Acquiring Party does not yet hold, at a price that is no lower than EUR 12 per share. Such Acquiring Party's commitment was conditional on the approval by the Securities Market Agency (ATVP) for the announcement of a takeover bid, and the purchase of shares was conditional on the acceptance of the offer, so that the Acquiring Party acquire no less than 50 percent of all shares plus 1 (one) share. The Acquiring Party's commitments from the Commitment Letter shall be valid until no later than September 30, 2018. There is no agreement between the Acquiring Party and the Target Company Management Board regarding the method of assertion of voting rights based on securities already held by the acquiring party. · Drago Bahun holds 9,082 company shares. Target Company Management Board members intend to accept the takeover bid. The most recent audited Annual Report of the Target Company, pertaining to the business year 2017, was adopted by the Company Supervisory Board on March 8, 2018, at their 43rd session, and it is available at the Target Company's website at (http://www.gorenjegroup.com). The most recent audited book value of the Target Company's share as at December 31, 2017, amounts to EUR 15.13. The Target Company Management Board submitted its Target Company Management Board's Opinion, along with the relevant announcement, to the representatives of the Target Company's workers. The opinion of Gorenje Workes Council and SKEI Gorenje trade union is attached below.